Happy Easter everyone! We hope you all had a great time over the long weekend. The great thing about a long weekend is that thereâ€™s plenty of time for bike riding! Even if the weather didnâ€™t want to play ball. The club generally had a great weekend, with an interesting variety of rides from all over the country thanks to the vacation time, even with some snow spotted on one of our memberâ€™s rides. The racing results was mixed, with podiums and great results, combined with cancellations and crashes. Friday morning set the tone with glorious sunshine and some warm temperatures. Angus Fisk and Bryn Davies headed out to Windsor area to take part in Good Friday 25m TT put on by Hounslow and District Wheelers. 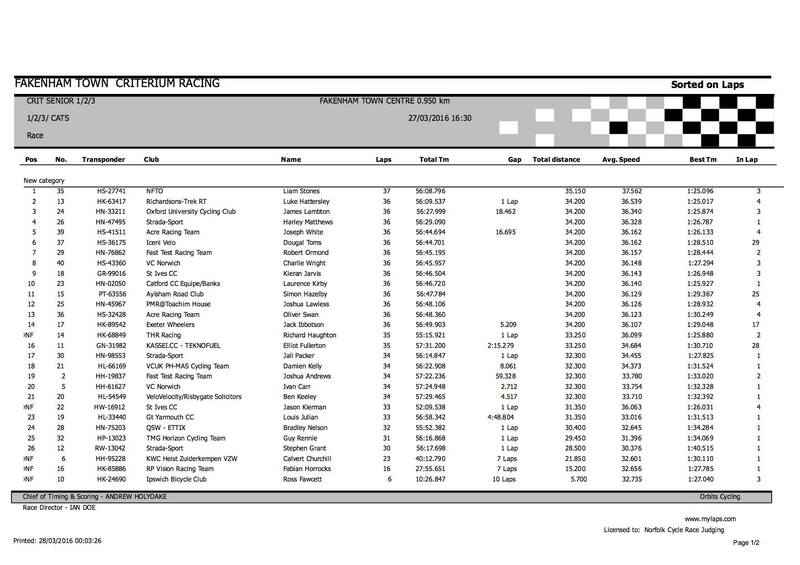 Unfortunately it wasnâ€™t to be a good day, with Bryn blowing out a tyre and crashing, and Angus having a cable snap so losing the use of the big ring for most of the race. Not the best, but good learning experience. 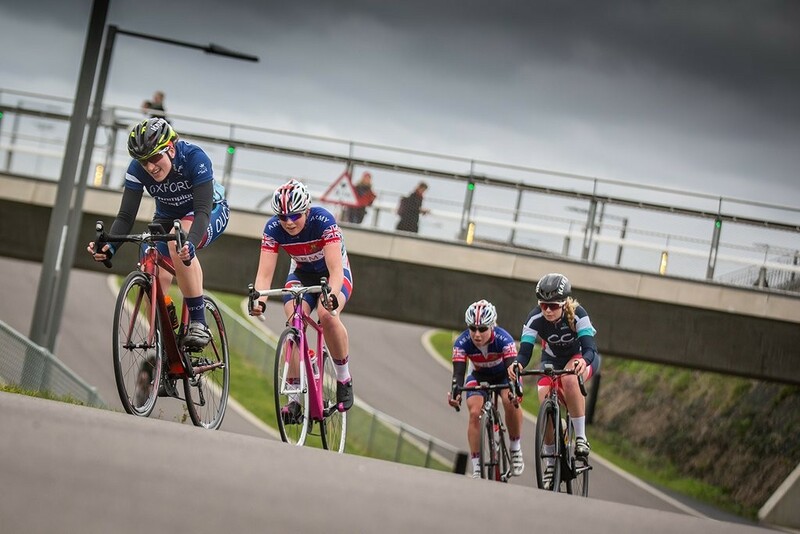 Saturday saw our President, Tamara Davenne lining up at the Lee Valley Velo park for a hard fought criterium. She infiltrated a breakaway group of 6 who stayed away for the win, cleaning up the line honours herself. This makes it 4 wins from 4 starts for Tamara, great results, super strong, and look forward to seeing what more is to come! Sunday had James Lambton on the other side of the country taking part in the Fakenham town centre criterium. He showed last years upgrade to 2nd Cat was no fluke by coming in third in a tough 1/2/3 race, taking out the bunch kick behind a 2 man breakaway up the road. Angus Fisk was a little closer to home, taking part in the Oxonian Long Hanborough 23m Hilly TT. The weather was glorious to start but the rain had started to come in by the time of the finish. He finished in 1.02.01, fastest by a few minutes over the next placed rider in a small field. Monday was gearing up to be another great day full of racing but storm Katie had other ideas. Hideous winds and standing water on lots of roads meant that all the races the squad had lined up were cancelled unfortunately. Luckily enough the weather picked up and the afternoon allowed a few to enjoy the longer evenings by getting out for some decent training rides instead. A great weekends racing again, despite the changeable weather. Congratulations to everyone who took part, good efforts all around. Only 2 weeks until the first BUCS Time Trial now, get excited!